Water managers tend to have narrow views on what they consider to be the value of water. However, not all water use is market driven; therefore, a comprehensive understanding of local community values associated with water can inform decision making by water managers. We use the term ‘water manager’ to encompass not only the singular person assigned this community duty but also the many councils and institutions who make decisions regarding local water resources. Regarding conventional values of water, an abundance of research exists; yet, for intangible aspects such as conservation for its own sake and spiritual connections, research involving value is limited. There are volumes of works that estimate the monetary values of water; however, intangible values are often overlooked. 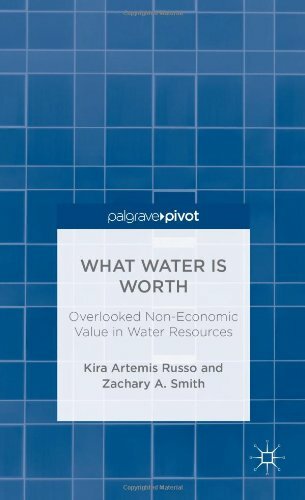 In general, few studies endeavor to estimate worth for water that encompasses more than a monetary value. We argue that it is the inclusion of both monetary and non-monetary values that justifies trust in the position of water manager.